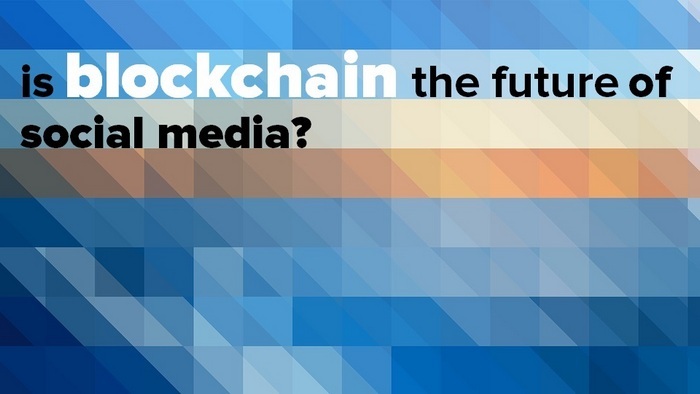 Home » Social Media » Is blockchain the future of social media? So could Facebook become yesterday’s news or Twitter simply forgotten in a decentralized internet? Well, we are a very long way away from that but we could be at the very first stages of the evolution of social media. Savvy content creators are finally waking up to the idea that they have value and have influence. As Sue Fennessy of The8App points out we are all Nano Influencers. It is the Nano Influencers, the 99% who have made Facebook and Google what they are today, and built their 1 trillion dollar value. The Nano Influencers are the users of social media. Users who take social media seriously and produce quality content are discovering that all their hard work is consumed by the platform itself, leaving them with little or no financial gain, a few million likes and a moment of fame as compensation. Renowned Artist Suzanne Heintz is one example of a social media influencer who closed her YouTube Channel in favor of The8App. Here Suzanne talks YouTube, The8App and the future of Social Media. So how does blockchain change social media? We are seeing entrepreneurs issuing their own blockchain-based tokens to raise money for their networks, sidestepping the traditional, exclusive world of venture capital altogether. New social sites are now being developed that are built on a blockchain-based token system that represents ownership in the network. For an investor, there are no shares in a company available, only the blockchain-based token. As the blockchain space expands, disproportionate returns will go to holders of the actual tokens. Blockchain-based social sites are a very interesting idea because it is the users who own the sites. There is no better way to leverage members or followers than to have them invested in the site they are actually using. The big challenge with social media, is to create something new that people will like enough that then gains some traction and momentum and grows and just to keep it scaling upwards. Blockchain socials have these requirements. The users purchase the coin or tokens or can simply earn them from their social activity.,and this keeps them motivated to keep engaging and telling their friends, the power of the nano influencer. Steemit is probably the most well-known example so far, but there is also another very interesting example just gone into beta called WildSpark. The Steemit social site is primarily a social blogging site. The idea is that you create unique articles that can be upvoted and resteemed (liked and shared). The interesting part to this is that Steemit users carry what is known as Steem Power. When they upvote your content they pass on their Steem Power, and so influence your rewards. You can get as little as 1 cent for a vote up to $100 or more depending on voters Steem Power. You can also earn curation rewards for your activity. The users are separated into 3 categories. The “Minnows”, these are the everyday users. The “Dolphins” these are the members who have been on for a while and have spent a long time working out how the ecosystem works and have grown and then we have the “Whales” who primarily are the guys who have purchased Steem, and who have invested in Steem. When Dolphins and particularly Whales vote you notice it in your rewards. WildSpark by Synereo is interesting because it is a move towards a more traditional social site as we know it. Steemit is very niche in that it is a blogging social, it’s not really an Instagram share photo’s kind of deal, though you do still see image sharing though it does kind of move away from how you are supposed to use Steemit. WildSpark has moved into the YouTube market. It is not in competition with Youtube in that you upload videos to the platform, it is more a curation site for Youtube. You share or in Wildsparks case Amp content onto the Wildspark platform. This short WildSpark video outlines the basics on how it works. Well, it could be. If you follow what we do here on Infobunny you will know that we embrace any move away from the Facebook world, we consider Facebook just a bad habit. Will a decentralized platform be the game changer? Well, I don’t see it happening with Steemit and WildSpark. There just seems too much of a steep learning curve within these blockchain based socials. A much simpler idea needs to be formed and applied to a blockchain platform. Is that even possible when you take in the complexities of what we have with blockchain? I don’t know but it is going to be interesting finding out. Interesting article I enjoyed reading, I discovered your blog through Adzbuzz! Thanks, perhaps you can use it a resource in one of your articles? Nice and informative article I enjoyed reading. In my opinion blockchain is going to be a game changer as it offers a unique solution to many of the industry’s deep-seated problems. By bringing together social networks and blockchain technology, it creates the possibility for a more interactive, trusted and rewarding experience on social media. Steemit is a very good example of social media mixed with Blockchain. Good to here this, Blockchain is now becoming the base for social media as well, I am aware d about blockchain is base of crypto currency but good to know this that it solely entering into social media market also….keep updating us about this kind of nice articles.